"Turquoise Floating", Turquoise Floating Series. "Turquoise Floating I, II, III" 2003, Turquoise Floating Series, acrylic on canvas, triptych, each 18 x 10 feet (549 x 305 cm). 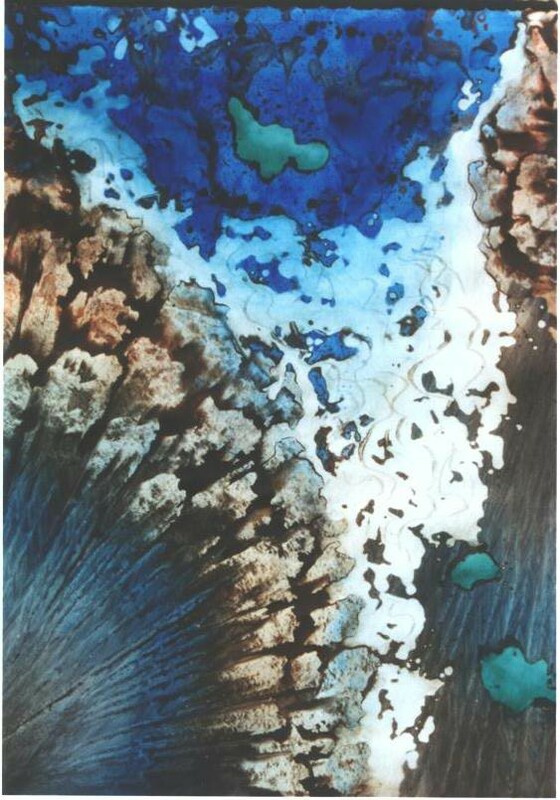 "Turquoise Floating" 1999, Turquoise Floating Series, acrylic on paper, 42 x 32 inches (107 x 81 cm). "Turquoise Floating I" 2003, Turquoise Floating Series, acrylic on canvas, tryptych, each 18 x 10 feet (549 x 305 cm). "Turquoise Floating III" 2003, Turquoise Floating Series, acrylic on canvas, tryptych, each 18 x 10 feet (549 x 305 cm). "Turquoise Floating in Cloud" 1999, Turquoise Floating Series, acrylic on paper, 42 x 32 in (107 x 81 cm). 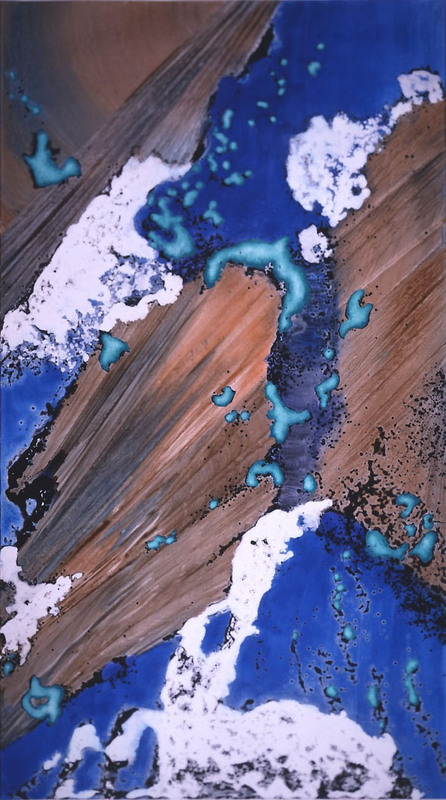 "Turquoise Floating on Brown" 1999, Turquoise Floating Series, acrylic on paper, 42 x 72 in (107 x 183 cm). 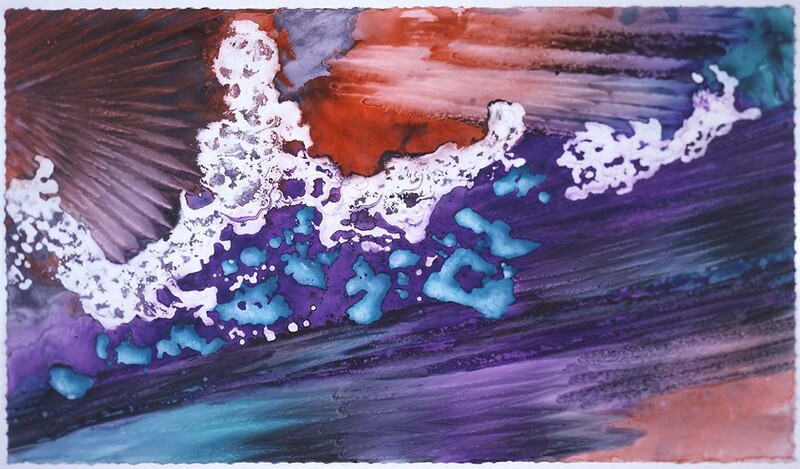 "Turquoise Floating on Purple" 1999, Turquoise Floating Series, acrylic on paper, 42 x 72 in (107 x 183 cm). "Deep Sea Peacock", Turquoise Floating Series. "Falling Turquoise", Turquoise Floating Series. "Golden Flower", Turquoise Floating Series. "Turquoise Jellyfish Floating", Turquoise Floating Series. "Turquoise Floating I, II, III" with artist, 2003, Turquoise Floating Series, acrylic on canvas, tryptych, each 18 x 10 feet (549 x 305 cm).